Although capable of being a deadly, flesh eating monstrosity of the wastelands and ruined streets of the Oldsters, a gel-bak is more commonly known as a drunken bully, who along with his or her gang, accost travelers and dig teams alike. Booze, either beer, wine or something stronger, is what this mutant rubble lord is after, and for those who are able to offer such liquid commodities, this vaguely humanoid thing will grant passage through its territory as well as useful tidbits of intel about the local area. But be warned, a gel-bak and its mooks are sometimes treacherous, and quite likely to direct teams into a trap or to adventure sites that are meant for only the most potent, clever and well equipped excavators. 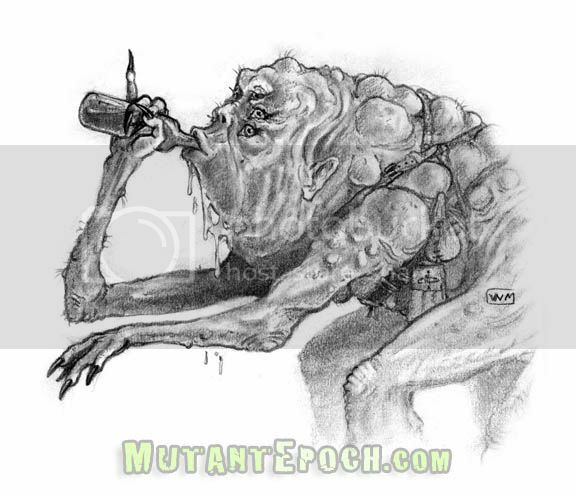 This ten page creature listing includes the following useful tables to help bring to life, and deploy a gel-bak in your next Mutant Epoch RPG session. These include listings that the GM can either pick or roll randomly from, including tables that can be used for other encounters and discoveries, such as the loot, booze and adventure idea rich 'intel table'. With some tweaking, a game master using another rpg system could easily adopt these hidious, besotted gang lords to their tabletop. 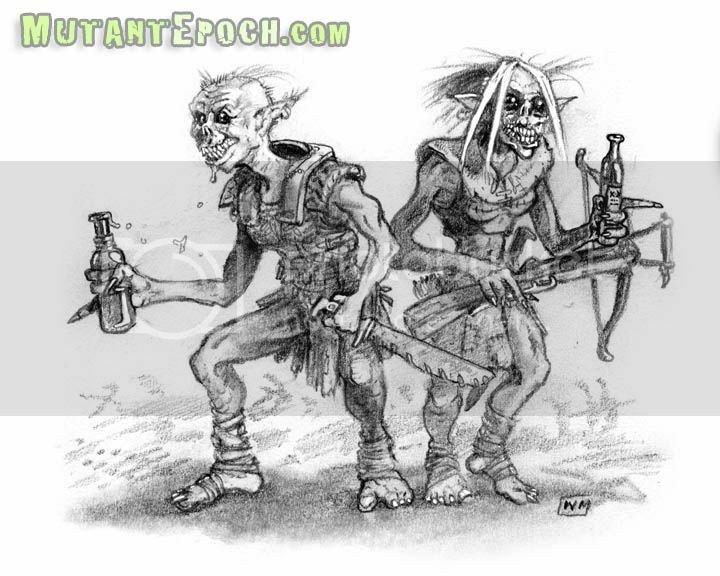 Stay tuned for future releases for The Mutant Epoch RPG.